Friendship Is Important To Me. 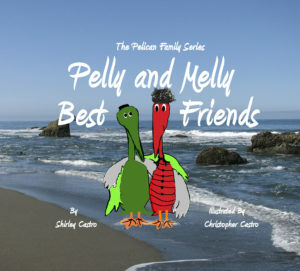 That made me think of our book in The Pelican Family Series, Pelly and Melly Best Friends. Helping children learn how to develop friendships is something we wanted to do. 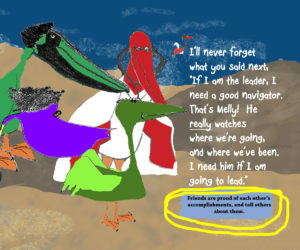 Our goal was to present ideas about friendship to kids through the silly antics of these two pelicans, and their conversation with each other. We also wanted to show how even two friends might not always see the same situation in the same way. As parents and teachers are reading this book with children, they will have ample opportunity for great discussions about friendships, and how to be a friend. 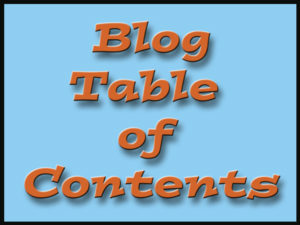 Boxes naming nine characteristics of friendship are interspersed throughout the book. 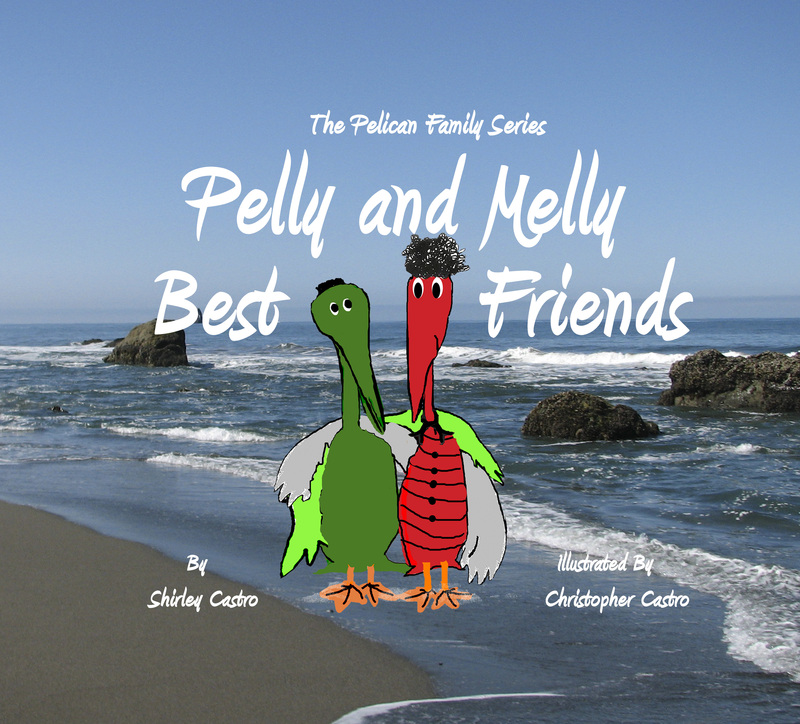 Pelly and Melly have known each other since the day they hatched. In the book, the two young, boy pelicans are talking about all of the things they have done together. 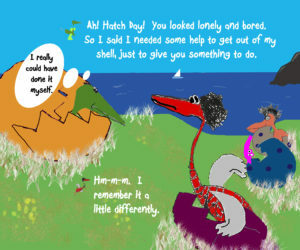 On the pages below, you can see that Pelly and Melly do recognize each other’s needs, and try to help. You can also see that they don’t always remember an experience in the same way! When reading this, an adult could take time to involve the child in a conversation about how different people remember things differently, maybe even given them a chance to think of such incidents in their own lives. 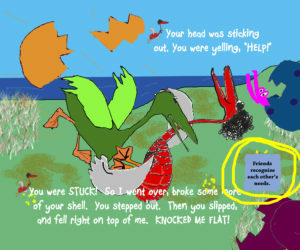 You can see the blue characteristic box circled in yellow. Here’s another example. Once again you can see a characteristic circled in yellow. Friendship is important to me, and I also think it is important for adults to help children learn about friendship. We are trying to do that in Pelly and Melly — Best Friends. ← #44– I’m Bored, What Should I Do? Looks like another sweet book for my granddaughter, Shirley. Thanks for your insight on friendship post!